Casual Connect: How will devs contend with a streaming-first world? Everyone has been talking about streaming services dominating gaming in the future, but there are lots of unanswered questions. Apple Arcade was just unveiled, generating much buzz across the industry, but unlike Google's Stadia, Microsoft's Project xCloud and others, Apple isn't concerned with streaming its games. Much of the industry is turning its attention towards the cloud, however, and it's something that will be on the lips of many Casual Connect London attendees from May 28-30. Today, we're taking a look back at an interesting talk given during last year's Casual Connect Eastern Europe, which had this very topic in mind. Around half of the attendees to Casual Connect are content creators, but what do these studio leaders do when the world is dominated by streaming and subscriptions? Joseph Knowles of Hatch Entertainment, which spun off from Rovio and bills itself as the "world's only made-for-5G game streaming service," provides developers with a great overview of the situation in the video below. Importantly, for developers, success is measured in gameplay minutes. 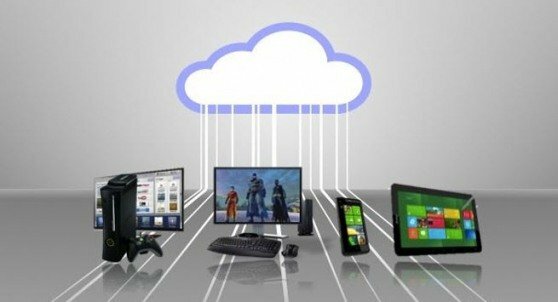 "It's basically the fairest way we could think of sharing the revenue," Knowles noted, adding that most cloud gaming services are likely to employ this model. The problem for some developers is that having this information in their back pockets could affect their creative thinking. After all, if gameplay minutes are directly tied to keeping the lights on at your studio, wouldn't you think about your design from that perspective? Knowles acknowledged concerns but actually countered that shorter games on the platform are performing better. He added that players who subscribe to services like Hatch are looking for "all killer, no filler, a game they can finish." In fact, Knowles believes this will be a boon to the premium games market, which has been overshadowed by free-to-play for years. While Hatch is focused on mobile gaming, the fact is that the cloud is blurring the lines between platforms. When triple-A titles like Assassin's Creed Odyssey are playable on smartphones, it's clear that the rules of engagement with audiences and the businesses behind them are going to disrupt industry norms many have taken for granted for decades. How developers survive and thrive in this transition will be a key discussion for Casual Connect attendees.